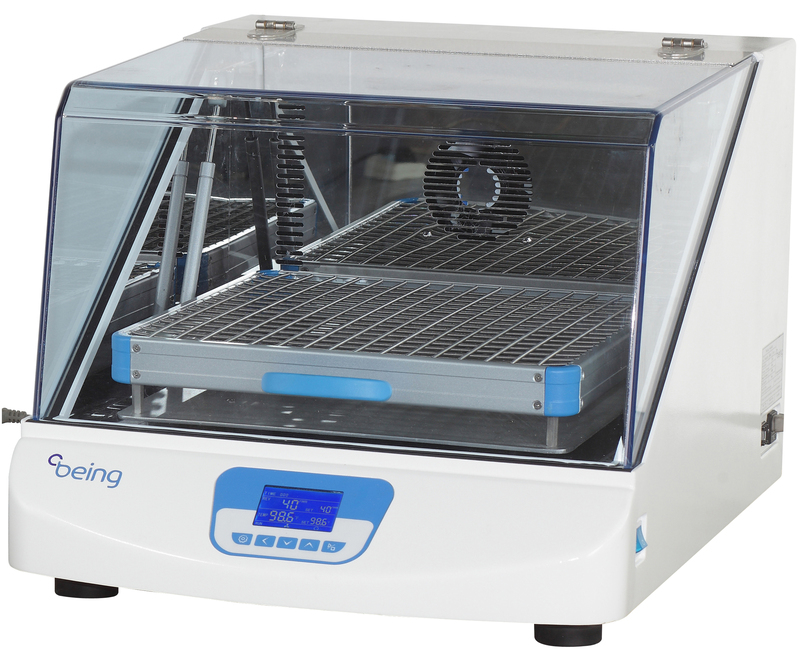 Being's latest incubated shakers are ideal for cell culturing, cell aeration and solubility studies. In addition to stable temperature conditions, they use an orbital agitation at variable speeds to affect the growth of cell cultures. Auto off and alarm occurs when the real shaking speed is 10% different from setting value, and the motor will stop automatically. Being’s PID controller provides accurate speed and temperature with timed runs. The speed controller ensures smooth start/stop which can prevent liquid spilling to damage the equipment. The BIS series Incubated Shakers cover a temperature range from 5°C over ambient temperature to 50°C with resolution of ±0.1°C. The timer range goes from 1 to 5,999 minutes. Features Include: colourful LCD display; safety door switch, auto pause operation when door is opened; and temperature-limiting alarm system, auto switch off when over-temperature.